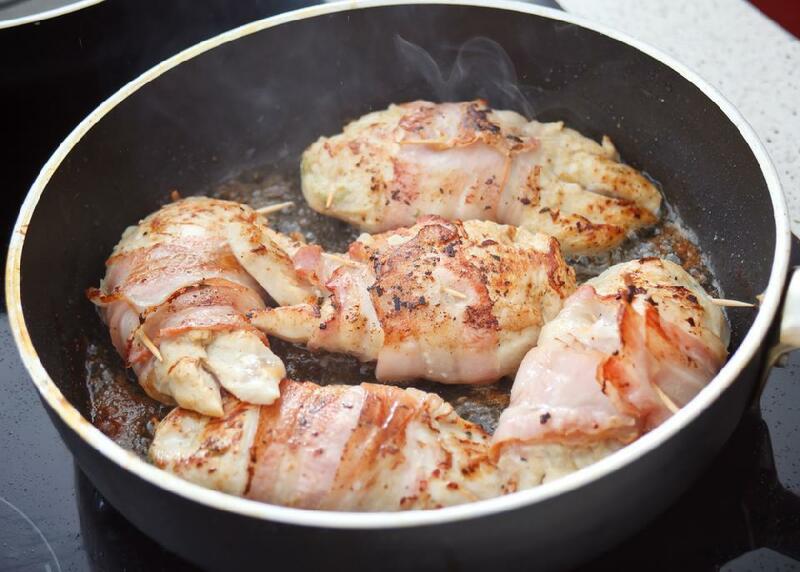 Very tasty dish - chicken breasts with bacon and sweet seasonings. Chop the chicken fillet into long pieces of medium thickness and sprinkle a little salt. Wrap in bacon and dip into a mixture of sugar and chili. Roast on low heat.